Sea Whispers is a stunning holiday cottage that comfortably sleeps up to six guests. 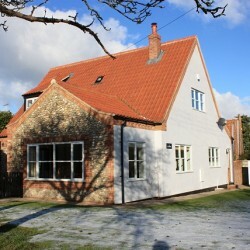 It’s the perfect accommodation for large families or couples looking for a coastal break in North Norfolk. Luxurious and sizeable, Sea Whispers provides everything you need to help you relax and enjoy the sights of Blakeney. 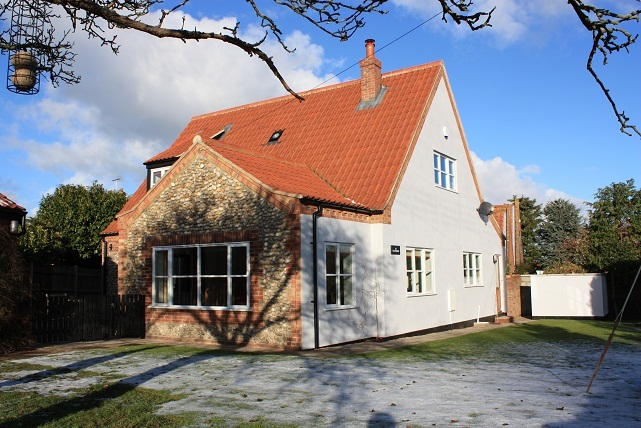 When choosing Blakeney as your holiday destination, you want a cottage that feels like home and provides creature comforts so you get the most out of your break. Want to enjoy home-cooked meals on holiday? This newly renovated accommodation features a stylish, well-equipped kitchen with everything for the chef in your group. The range cooker with halogen hob means you can practice your cooking skills. A fridge with ice box, freezer and microwave are also provided, and the dishwasher makes cleaning up afterwards a breeze. Relax and put your feet up in front of the TV in the well-lit living room. This large seating area has two leather sofas, a DVD player, digital channels and iPod docking station so you can really unwind on your holiday. There is also free WiFi connection so you can surf the web in comfort. When it’s time for bed, there are three large rooms to choose from. On the first floor is the master suite with king-size bed. It comes complete with a beautifully decorated en-suite, with its walk-in shower and standalone bath. On the ground floor you’ll find double and twin-sized bedrooms, along with a family bathroom with a shower and separate bath – so you won’t have to queue in the morning to freshen up. Once you’ve settled in, take a trip to Blakeney village where you’ll find plenty to see and do. Stroll down to The Quay and watch the yachts drift by or go for a spot of lunch in one of the friendly local pubs. You can even bring along your family dogs. For a small charge, you can make sure they don’t have to miss out on a coastal holiday in this unforgettable Blakeney cottage. Sea Whispers also has ample parking for up to three cars. For more details on this holiday cottage, contact us or select an available date below.